to register for sale and market across EU member states. The creation of the UCITS regime furthered the EU’s goal of a single market for financial services in Europe and provided a highly effective mechanism for both investors in funds and investment managers creating investment products. The marketing passport for investment funds is one of the most significant developments in European financial services of the last 30 years. UCITS funds, given their long established and respected rules, are also sold outside the EU and therefore provide a scalable and flexible distribution structure for global investment managers. The original European Directive (law) upon which the UCITS framework was built was developed in 1985 and has been augmented and added to in subsequent years – commonly these updates or revisions are referred to as UCITS III, IV and so on. The UCITS rules are, in effect, product-based regulation and include requirements around allowable investments, liquidity, disclosure, and investor protection, as well as the technical and practical organisation of such funds. Given the detailed and specific nature of the UCITS rules, these funds are suitable for broad spectrum distribution to both retail and institutional investors. The most recent iteration of the UCITS rules are encompassed in Directive 2014/91/EU (commonly known as UCITS V) on the coordination of laws, regulations and administrative provisions relating to undertakings for collective investment in transferable securities as regards depositary functions, remuneration policies and sanctions. In the publications, news and other content on this page you can keep up to date with relevant UCITS developments and the work of the Association in this area. Find out more about UCITS in Fund Types & Legal Structures. Ireland is an established investment fund centre, the domicile of choice for UCITS and the leading alternative servicing centre globally. 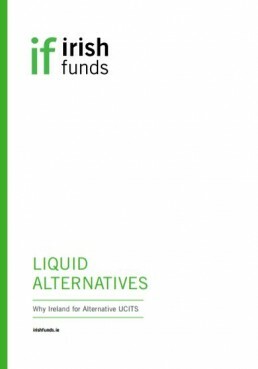 Find out more about why Ireland for liquid alternatives.